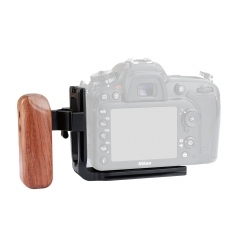 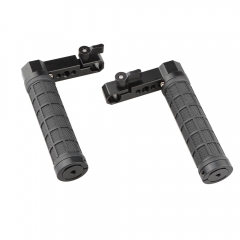 • This CAMVATE Universal top cheese handle is widely used for various kinds of camera cage (mounted on top or side), or else you can directly install this handle onto the top of your camera for convenience. 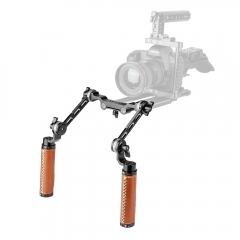 • It features two top-mounted and a forward-mounted cold shoe mounts which provide you with flexibility to attach more shoe accessories like flashlight, microphone or monitor and so on. 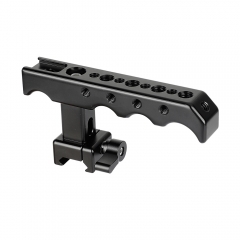 • Availability includes a standard 15mm rod adapter, plenty of 1/4"-20 & 3/8"-16 threaded holes, standard shoe mounts, and an ARRI locating hole. 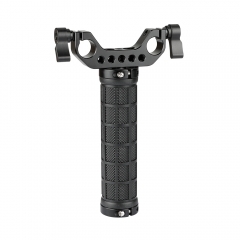 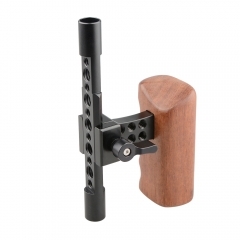 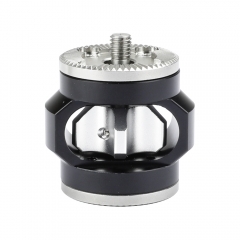 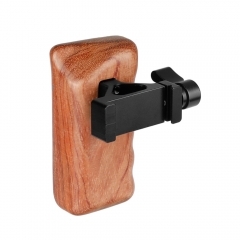 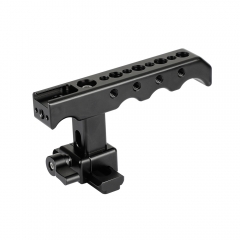 • This top handle can be quick and easily connected to a camera cage via the cold shoe groove mount, afterwards tightened via a rotary knob.